Color the world with hope and love. This is the goal of our first organization. 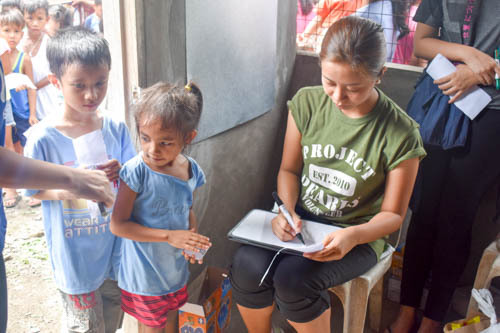 Project Bahaghari (Bahaghari means rainbow) is committed to demonstrate God’s love and compassion to the children, youth and elderly especially to those living in isolated areas through different programs and activities. 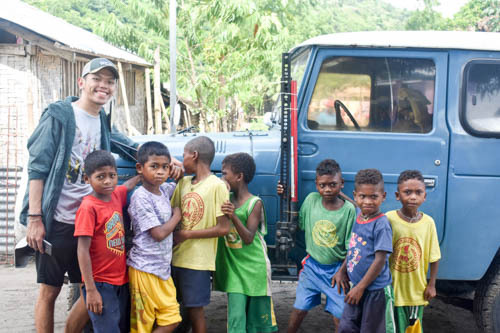 Project Bahaghari volunteers usually visit and immerse on communities with indigenous people to give collected donations. This is a small group with youth members and was founded last March 22, 2014. Project Pearls was founded way back on August 2010. 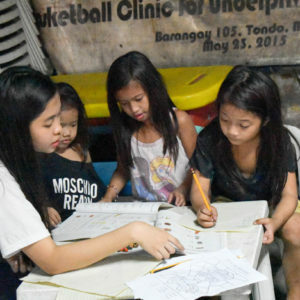 It started as a small NGO with only a handful of volunteers, with the aim of helping the poorest of the poor family in the Philippines. 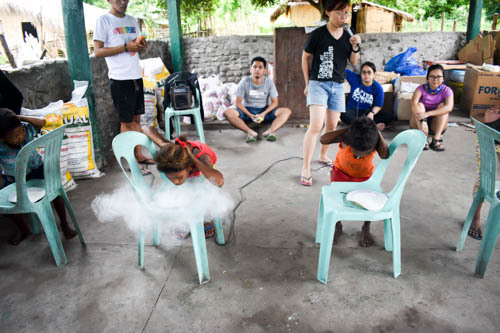 Through a Manila-based Belgian photo journalist Sidney Snoeck, Melissa was introduced to a charcoal community in Manila. 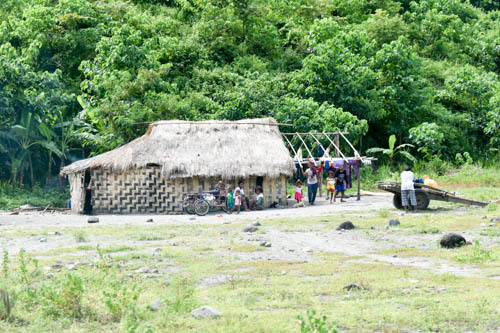 Families here were living in extreme poverty and this was the first community that Project Pearls helped and supported. 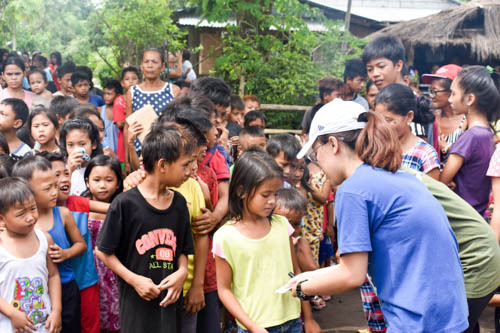 Eight years later, it is now expanded with numerous volunteers, donors, sponsors and partners. 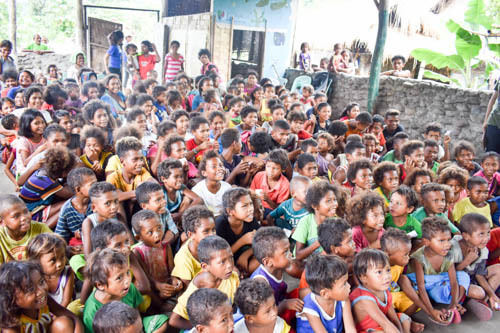 This organization also now supporting hundreds of scholars in Bulacan, Manila and Zamboanga. 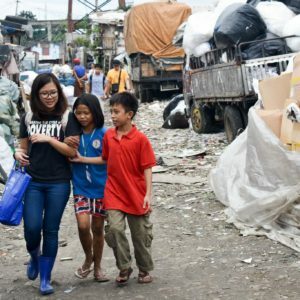 Aside from that, everyday feeding for hundreds of kids in Tondo, Manila is maintained. 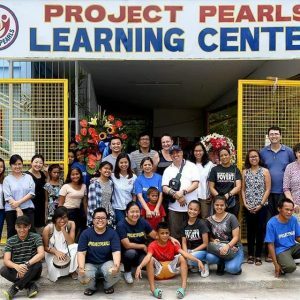 Project PEARLS means Peace, Education, Aspiration, Respect, Love and Smiles – these are the things that this organization wanted to give through education, empowerment, nutrition, nourishment and healthcare. 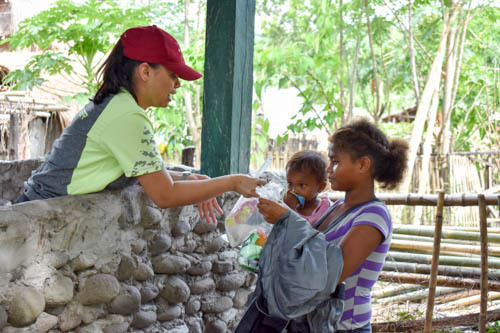 These two NGO collaborated for a two-day immersion at an Aeta Community in Capas, Tarlac with the goal of reaching out to these wonderful indigenous people of Sitio Kanawan. The said community compose of almost a hundred family. 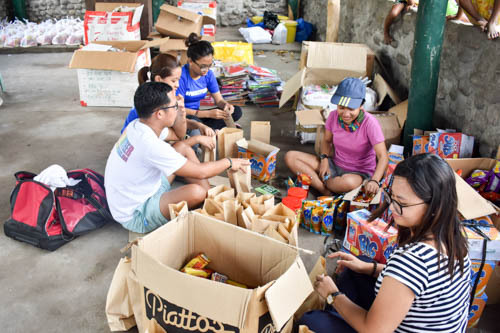 Both organizations brought some smiles and love in the form of shared time and donations for these families. 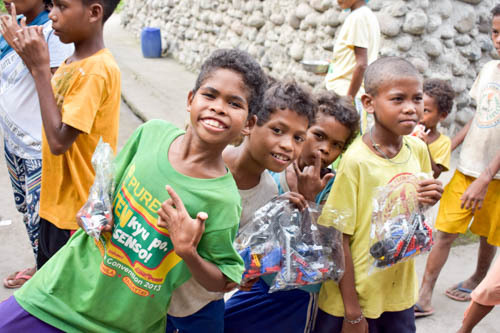 Aside from these, Project Pearls was in partnership by another international NGO which is the Memory Project. 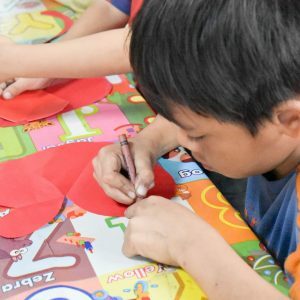 Memory Project’s aim was to give kids their portraits to make them happy. Their priceless reactions are these NGO’s strength and will to give every child a happy childhood memory. 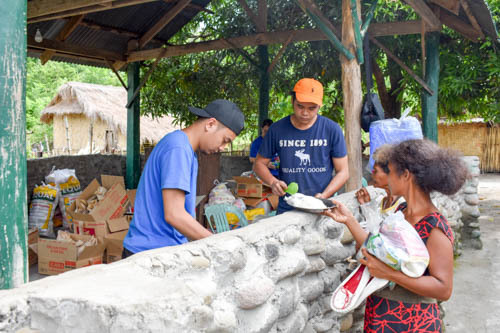 The journey of this two-day immersion started with the buying of goods. We had some volunteers who bought the needed goods for donation and food for volunteers. We bought the following a day before our outreach date. 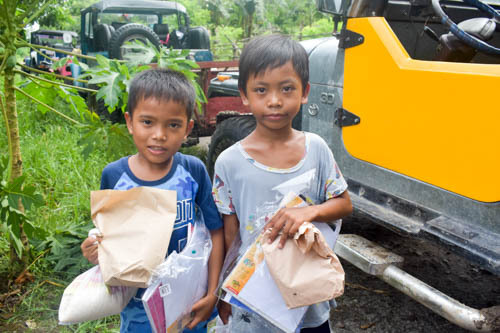 Money used for these were the excess funds from the previous immersion last Christmas. 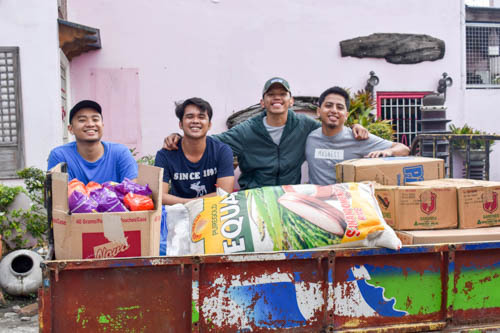 Thank you so much to our dedicated volunteers who took time to go to grocery a day before our immersion. 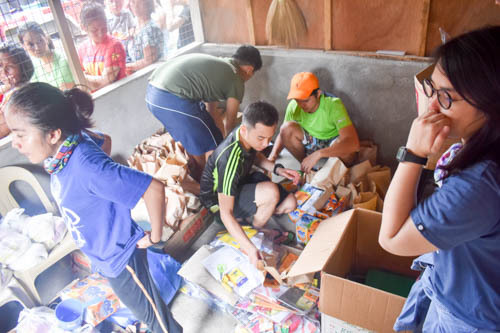 Aside from these goods, there were also in-kind donations from different individuals and groups such as Alaska powdered milk, pre-loved clothes, shoes, slippers, toys, school supplies and toiletries. Meet up time was at 3 in the morning at the Project Pearls Headquarters. 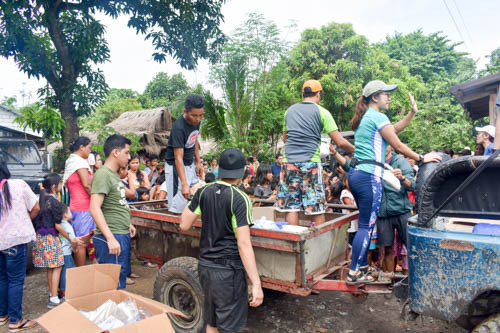 When everyone’s already at the assembly venue, donations were loaded on the two vehicles that will be used. At four a.m., we’re off to Barangay O’Donell, Capas, Tarlac. 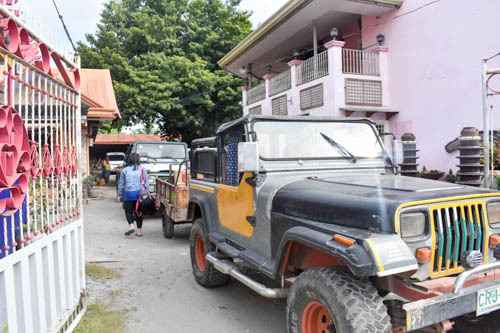 After almost three hours, we reached the house of the Barangay Captain of O’Donell. Thank you so much to Kap Wendel Mercado for accommodating and assisting us. 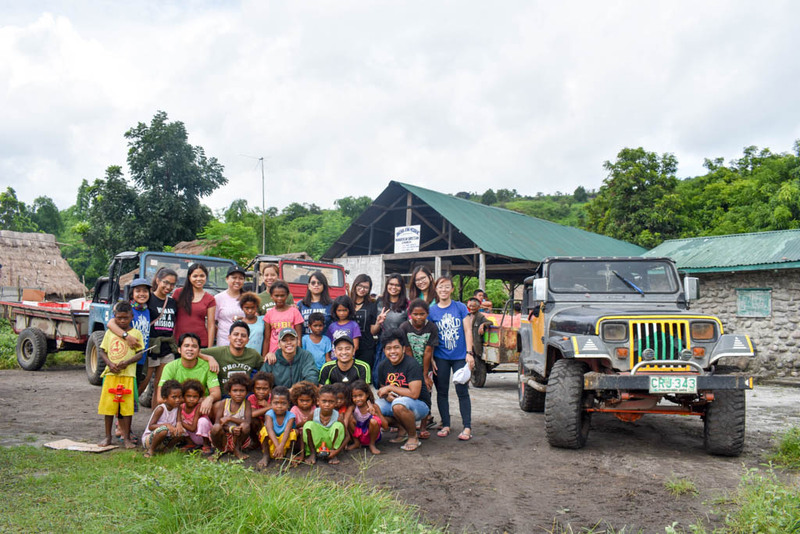 From Kap’s house, we rented four units of 4X4 vehicles that will take us and all our goods to the mountains of Sitio Manabayukan. 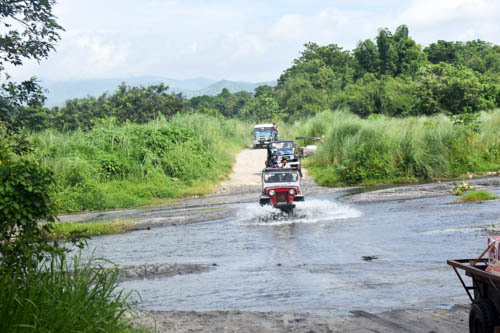 It was an hour of bumpy ride due to rough road. 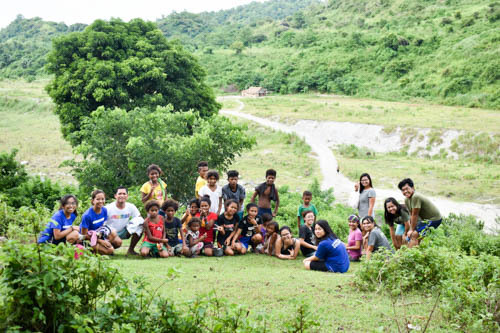 Upon reaching Sitio Manabayukan, all smiles and waves from the people living there welcomed us. 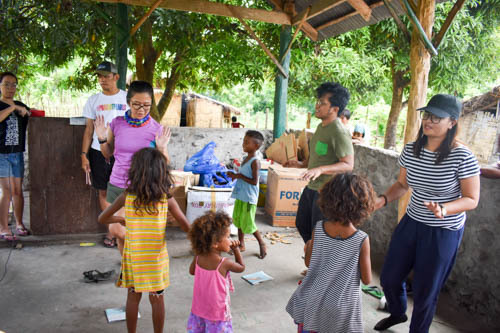 We assembled and settled on the community’s elementary school and this will serve as our base camp for an overnight stay. After a brief orientation and assigning of things to do per volunteer, everyone became busy. Some prepared the food, while some went to the church to repack the donated goods and getting ready for the program proper for the kids. After all the prepping, the whole team ate for lunch and then we’re ready! 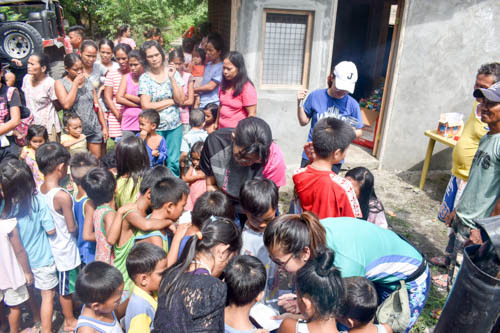 Kids and adults fell in line as claiming stubs for all the gifts were distributed. Then our program proper started. 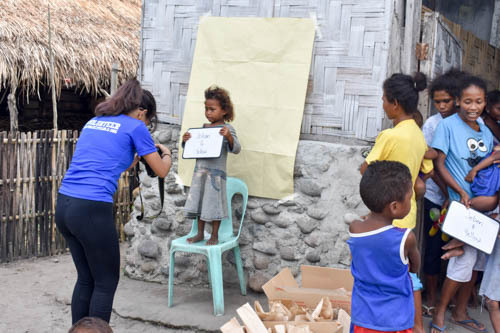 While we are having the games, volunteers for the Memory Project were also conducting the taking of pictures of 150 kids. Games and picture-taking were happening simultaneously in two hours. After that happy two hours, we then properly distributed all the gifts for them. Each volunteer has an assigned station that families will have to stop by to get the goods. We hope that they were all happy like us! At four in the afternoon, we were already done for today’s program! The whole team then went to the river to have some bath time and bonding time as well. Before the sun went down, we were back to our ‘base camp’ and dried up. 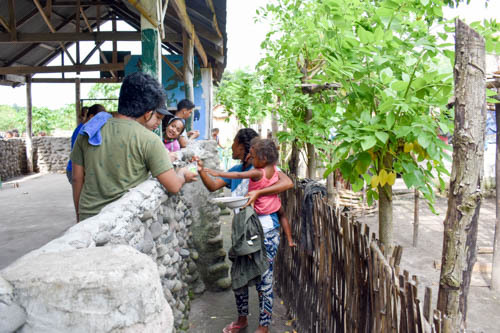 While some of the volunteers preparing for dinner, others conducted an interview of families. Each pair must interview at least four families. 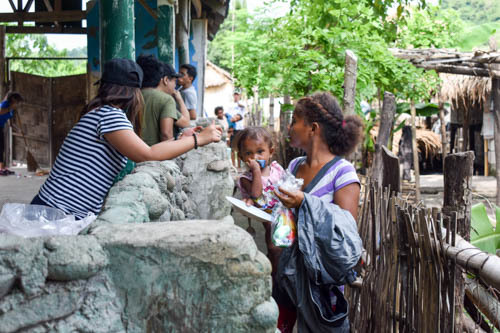 Through this activity, we were able to really immerse with this community. We’ve got to know their personal stories, way of life, struggles and dreams. We felt closer to them. Then we had our dinner. After dinner, we had a film showing inside the classroom through a laptop and mini-projector powered by batteries. 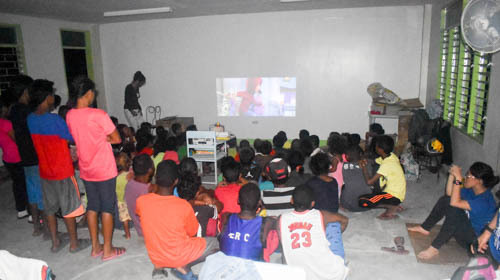 This community has no electricity and most of them were grateful to us because they have experience watching a film! 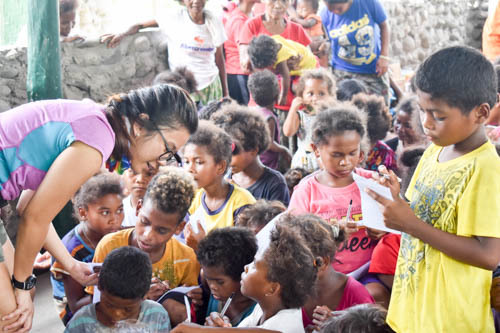 We were also glad as we gave them simple joy. After the film showing was the end of our Day 1. Day 2. Second Day on Another Community. After we had our breakfast, we headed to the second community that the Memory Project will took place. 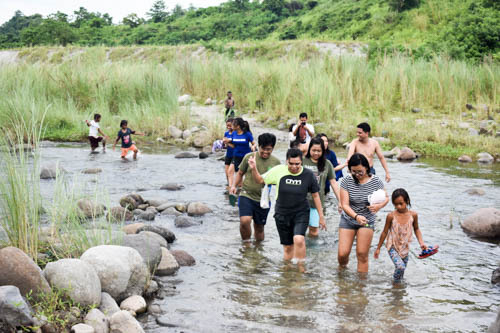 It was at Sitio Binayayan – an hour away from Sitio Manabayukan. 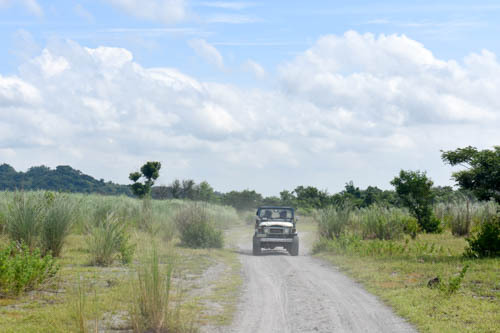 This community is nearer the downtown than Sitio Manabayukan. 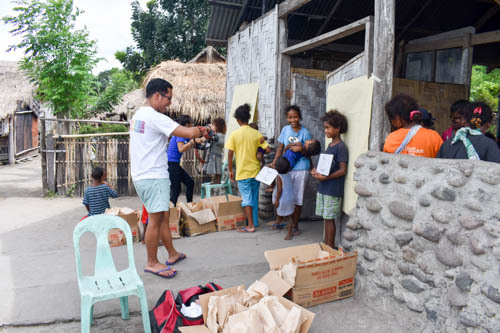 More than 150 kids were given grocery packs, school supplies and toys after their picture-taking. The team had lunch after the event and then we’re back at Kap’s house as our vehicle that will take us home were waiting for us there. We then had a debriefing at NLEX McDonalds. 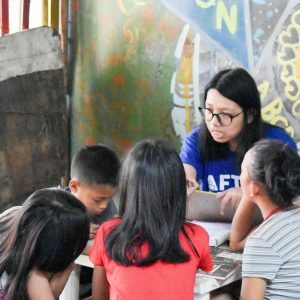 In here, while eating for merienda, each volunteer shared their realizations of the entire trip and everyone attentively listened with each other. 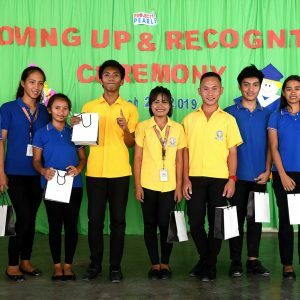 Each one also had the chance to commend their co-volunteers, specially those who stood out for them as best volunteers. Everyone was grateful, simply happy, hopeful and inspired. We were tired but surely each one has inspiring stories to tell. 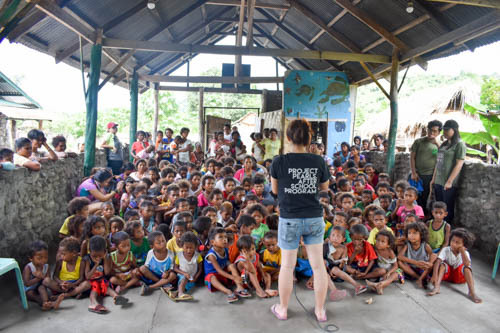 Melissa Villa, founder of Project Pearls for allowing this to happen. All our donors, partners and sponsors. Kap Wendel Mercado and family for the hospitality, warm welcome and assistance. Our drivers, thank you for keeping us safe. 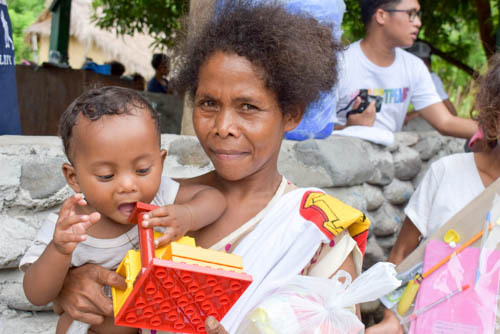 We will surely be back on these communities bringing another set of happiness that they all simply deserve!